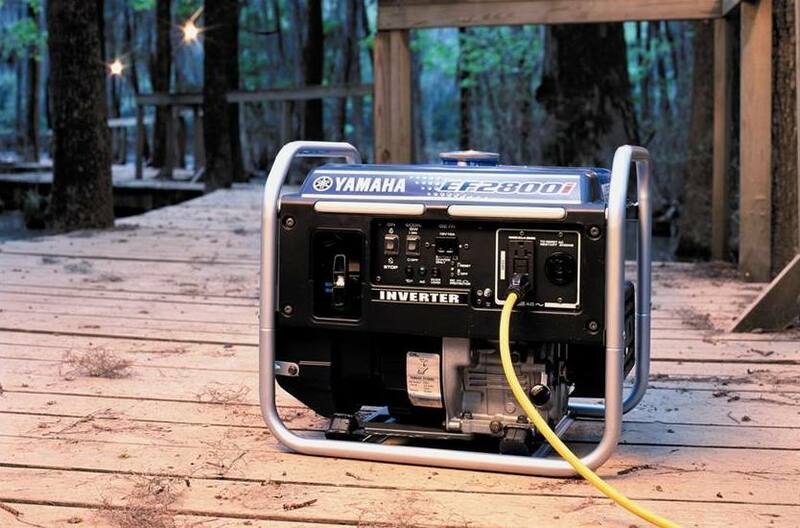 2800 maximum watts of output in a compact 66-lb package equals exceptional power output to weight ratio. 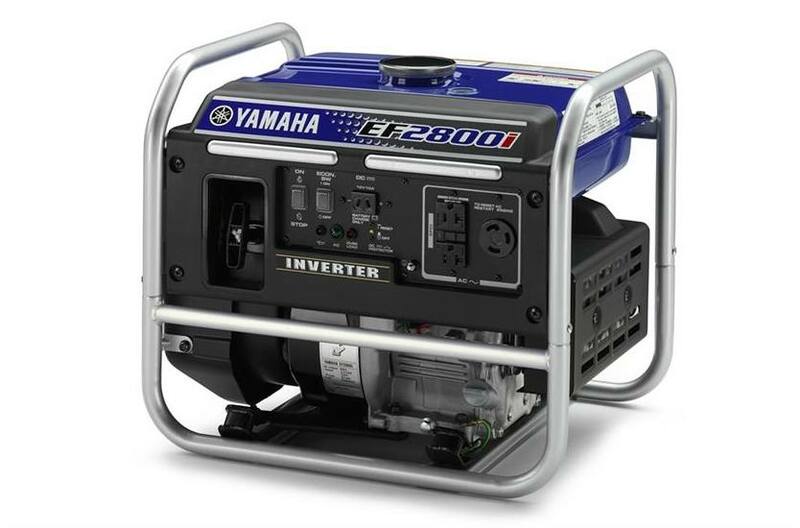 The EF2800i weighs just 68 pounds, making it the lightest generator in its class. The key is the multi-pole rotor with a small stator. This design is smaller and lighter than a conventional twopole alternator with a large stator—and it helps make the EF2800i extremely portable. 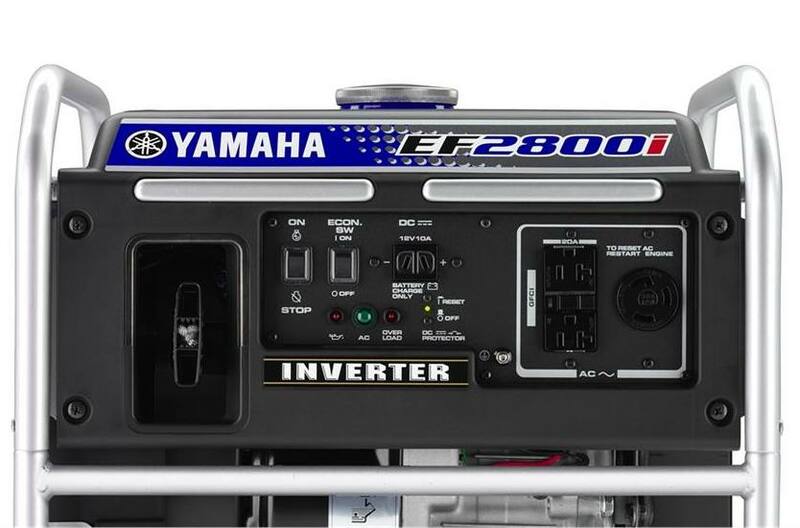 With the EF2800i, Yamaha has created one of the quietest generators in its class (64-68 dBA). Our engineers looked at the total design, and then made changes where they would be most effective: engine operating speed, intake noise, exhaust noise, and valve train noise. The EF2800i—with its inverter system—features Pulse Width Modulation (PWM) so wavelength distortion is less than 2.5 percent, making it ideal for equipment that requires stable frequency and voltage, such as computers or other sophisticated electronics. Yamaha’s Smart Throttle feature automatically adjusts engine speed to match the load. The result is quiet running, maximum fuel efficiency, and a run time of 14.7 hours at ¼ rated load. Yamaha’s Oil Watch warning system prevents engine damage, avoiding costly repairs and minimizing down time.